Product prices and availability are accurate as of 2019-04-14 21:09:42 EDT and are subject to change. Any price and availability information displayed on http://www.amazon.com/ at the time of purchase will apply to the purchase of this product. The organizational cohesion of insurgent groups is central to explaining patterns of violence, the effectiveness of counterinsurgency, and civil war outcomes. Cohesive insurgent groups produce more effective war-fighting forces and are more credible negotiators; organizational cohesion shapes both the duration of wars and their ultimate resolution. 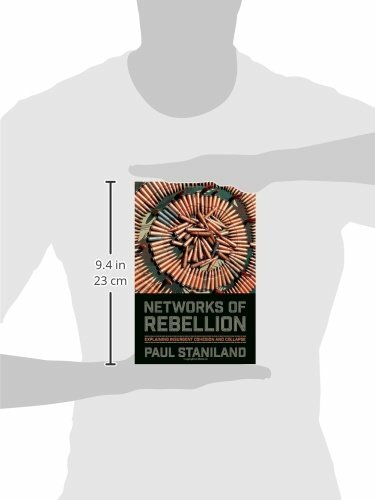 In Networks of Rebellion, Paul Staniland explains why insurgent leaders differ so radically in their ability to build strong organizations and why the cohesion of armed groups changes over time during conflicts. 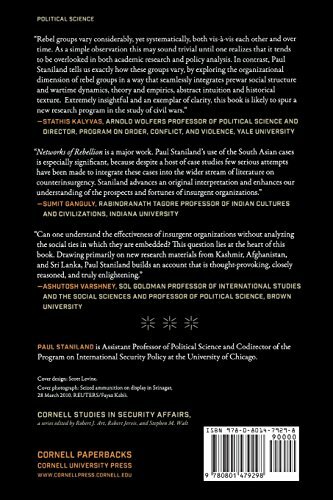 He outlines a new way of thinking about the sources and structure of insurgent groups, distinguishing among integrated, vanguard, parochial, and fragmented groups.Staniland compares insurgent groups, their differing social bases, and how the nature of the coalitions and networks within which these armed groups were built has determined their discipline and internal control. 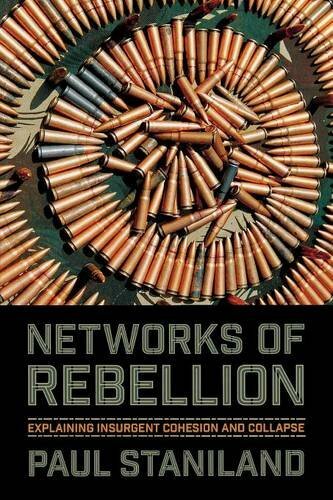 He examines insurgent groups in Afghanistan, 1975 to the present day, Kashmir (1988–2003), Sri Lanka from the 1970s to the defeat of the Tamil Tigers in 2009, and several communist uprisings in Southeast Asia during the Cold War. The initial organization of an insurgent group depends on the position of its leaders in prewar political networks. These social bases shape what leaders can and cannot do when they build a new insurgent group. Counterinsurgency, insurgent strategy, and international intervention can cause organizational change. During war, insurgent groups are embedded in social ties that determine they how they organize, fight, and negotiate; as these ties shift, organizational structure changes as well.